The Community/Business/Schools (C/B/S) Partnership was created in the early 1990s to enhance mutually beneficial personal relationships among communities, businesses, and schools. The group has developed into a powerful catalyst matching community resources with the needs of the district, the students, the teachers and administrators and providing mutual benefit to the community and its businesses. C/B/S is considered a model program throughout Ohio and nationally. Other school districts within Ohio have sought information the C/B/S leaders to initiate similar programs in their communities. As C/B/S partners, businesses, individuals, and groups set their own schedule of involvement and work directly with school personnel to tailor an activity best-suited to both the partner and the students. Over the years this has been done in a variety of ways by an ever-evolving group of members and volunteers. Over that span, C/B/S has earned recognition at the local, statewide, and national levels. Click here to join the C/B/S Partnership! Membership is free! Through the collaboration of the Parma Area Chamber of Commerce, Parma City School District, Community Ambassadors and the C/B/S Partnership, CBS Connects seeks to strengthen the community, encourage mentoring opportunities and create new pathways for civic engagement that will result in higher educational achievement, higher levels of well-being and health and workforce readiness for our state. 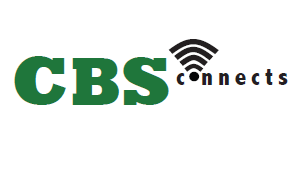 CBS Connects is funded through the Community Connectors grant provided by Governor John Kasich and the Ohio Legislature. CBS Connects gives students access to role models to help motivate and inspire them. The program aims to help students develop skills that will lead to additional success in the school and the marketplace. The goal is to produce college and career ready graduates from the Parma City School District that can make a positive impact in the community, region, state and beyond. For more information, including how to sign up for CBS Connects, visit www.cbsconnects.org. Follow CBS Connects on Twitter (@cbsconnects) and on Facebook (www.facebook.com/cbsconnects).